As part of my resolution to do a better job keeping up with reviewing new books in 2018, I’m going to dedicate one Friday each month to rounding up interesting new books you might spot on your library’s “new releases” shelf. Technically, this isn’t a new book, but since it’s newly translated into English (reading challenge bingo square! ), I say it counts. I also say it’s utterly delightful, and you should probably get your name on the library hold list, stat. 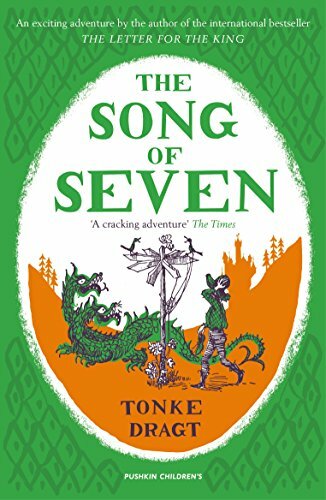 I have fallen in love over the past couple of years with the weird sweetness — I don’t know how else to describe it — of Scandinavian children’s literature, and I can see that I am going to have to broaden my reading horizons to the Netherlands, too, now. Frans van der Steg leads the least adventurous life imaginable — except for in his fantastic stories, which keep his class of mischievous students spellbound while he’s telling them. So when Frans gets a mysterious job offer that launches him into an even more mysterious adventure, he’s equal parts delighted and terrified. Frans finds himself tutoring a not-particularly-nice count’s charge at their isolated mansion just outside of town — a job, he discovers, that he’s been hand-selected to do by the boy’s friends in town, who are determined to get him away from his evil guardian. Mixed up in all this is the mystery of the treasure hidden by the mansion’s original count, which legend tells only this particular young boy can discover. Frans must figure out the clues, forge new alliances, and convince his new student that he’s on his side before time runs out. There are lots of wonderfully weird bits — a happy forest dweller and an anarchistic biker might actually be the same person, a card trick-playing man might actually be a magician, and the mansion’s staircase maze interior creates moments both spooky and hilarious. I love the old-fashioned vibe of the language, which echoes both classic fairy stories and the swashbuckling stories Frans tells his students at school. Geert-Jan, the lonely heir and Frans’ new student, is both lonely and rebellious, and his developing letters-based relationship with the students in Frans’ class is one of the sweetest parts of the book. 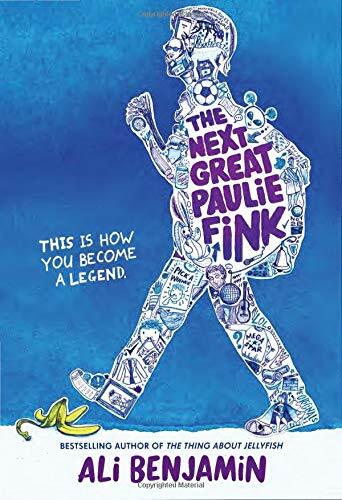 There’s a motley cast of characters, good and bad, and Frans is a likable hero — choosing an adult to anchor a late elementary/middle grades book like this is an unconventional choice, but something about it really works for me. I’m going to be recommending this to everyone. This is not a great book. There’s a lot of good stuff here: issues of class, race, and mental illness, which feel relevant and important. 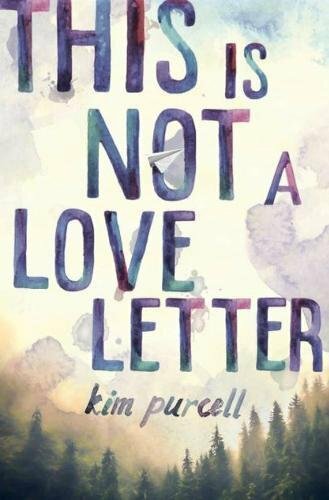 I like the set-up of the book, which consists of Jessie’s letters to her boyfriend — her smart, athletic, star student boyfriend, who also happens to be black in a very white town — after he goes missing after a jog. (While they were dating, he wrote her a love letter every day.) I think Jessie’s character, grown up just south of comfortably middle class, has a believable voice. I mean, I even like the cover, which has a wistfulness that promises good things. It just didn’t come together into a good book for me. Maybe it was the editing? It’s tricky with epistolary novels (which this counts as, I think, so reading challenge bingo! ), I know, because you have to balance writing believable correspondence with moving a story forward clearly, but I don’t think this book found that particular line very often. Not a winner for me. I quite liked this middle grades book, though it feels a little like The Mysterious Benedict Society Lite, which may just be an unfortunate publishing coincidence. 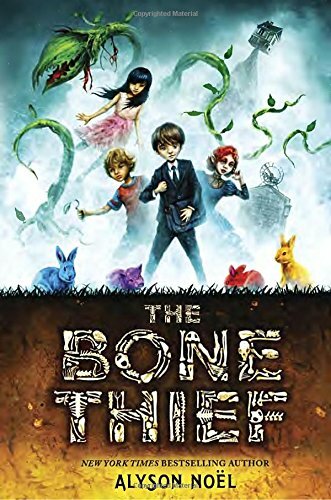 Still, if you resist the urge to compare it to the adventures of Reynie et al and read this book on its own merits, it’s fun read with an engaging central mystery and lots of likable characters. Orphan Elizabeth Somers hasn’t had a happy Christmas for as long as she can remember, and this one promises to be the worst yet: Her awful aunt and uncle are shipping her off to a hotel in the middle of wintry nowhere with no suitable cold weather gear and no spending money for food or anything else. 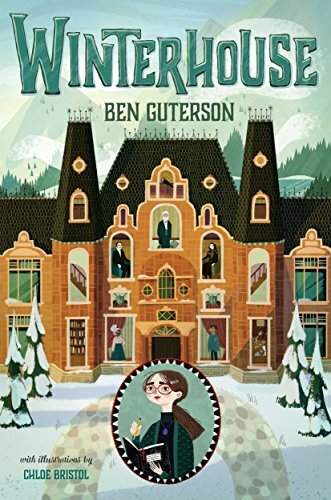 Winterhouse Hotel, a warm, welcoming place full of friendly faces, delicious meals, and a generous staff, turns out to be a delightful surprise, and Elizabeth can’t decide if she’s happier about the hotel’s marvelous library (she loves to read) or her new friend Freddy, who’s also spending Christmas alone and who shares Elizabeth’s love of word games. Everything would be perfect if it weren’t for the creepy couple who seem to be paying a little too much attention to Elizabeth and the book she shouldn’t have stolen from the library’s restricted section. The big-picture mystery is a little unpolished and some of the more obvious plot twists feel like they drag out forever, but the strength of this book is in its quotidian charm. Elizabeth’s bookish inner monologue is a pleasure to follow, and the daily rhythms of Winterhouse come to life so that you, too, feel like a guest at this charmingly over-the-top holiday hotel. I loved the little scenes, exploring the hallways or visiting the kitchen, and the little moments, like Elizabeth and Freddy’s scavenger hunt, much more than the big reveals or adventure. And kudos to this book, which is already showing up on Goodreads as Winterhouse #1, for ending on a solid resolution — sure, it’s clear that more adventures could follow, but it definitely does not indulge in my middle grades lit pet peeve of ending the first book on a giant cliffhanger. I’d recommend this to bookish kids who enjoyed The Greenglass House or Pseudonymous Bosch. Here’s another middle grades book that might scratch a fantasy loving kid’s readerly itch. Grimsly is the only regular kid in Quiver Hollow, where being extraordinary is the norm. His friend Ollie can bend spoons just by looking at them. Another friend can levitate at will. The waterfalls flow up, and magic is everywhere. Still, orphaned Grimsly feels like he’s found his niche with his adopted wizard guardian and his part-time job as pet funeral director. In fact, he’s one of the most popular kids at his school — which, he worries, may be causing major problems when the town’s magic starts to drain away. The problem turns out to be even more sinister, and Grimsly must set out on a quest to restore the weirdness to his adopted hometown before it disappears forever. The best thing about this book is its Tim Burton-ish vibe, which resonates through the book in weird and delightful ways. It’s fun to see the trope of a magical kid in the real world subverted: Grimsly’s total ordinariness is completely out of place in the fantastic community of Quiver Hollow, but it may turn out to be what makes him special. There’s a little icky creepiness, a deliciously evil headmaster at a particularly nasty school, and just enough danger and tension to keep you on the edge of your seat, but it’s the world building and the characters that really shine. The worst thing? The villain feels a little cartoonish — his motives aren’t satisfactory at all — and there are a lot of questions that never get answered about Grimsly’s origins and family history. (There are hints and explanations, but they don’t really gel into anything coherent by the end of the book.) Also: I am not a fan of people murdering rabbits, even — perhaps especially? — in literature. Save the rabbits! 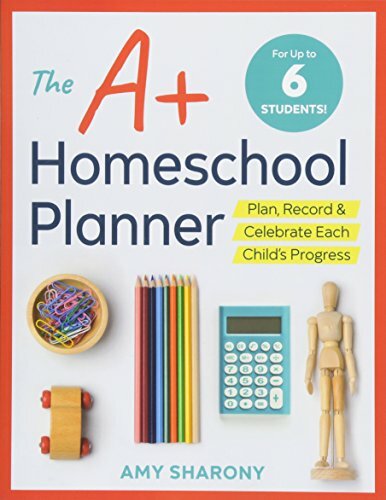 But definitely consider this book for a middle grader who isn’t quite ready for something like Miss Peregrine’s Home for Peculiar Children or Neil Gaiman’s more grown-up stuff. I read this because I kept seeing it mentioned everywhere, and I was ready to fall in love with it — but alas, it wasn’t for me. 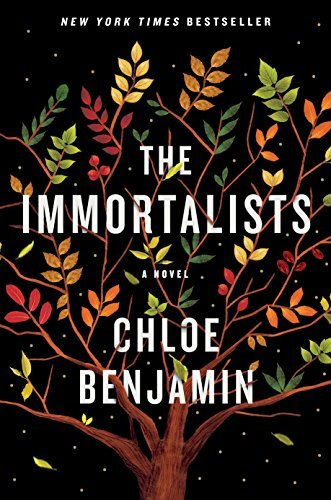 The premise is interesting enough: Four siblings visit a fortune teller in 1969, and she tells them when each of them is going to die. All four kids become obsessed by what she’s told them, and the fortune teller’s prediction shapes their lives in significant ways. Would you want to (maybe) know your fate? It’s an interesting idea, but the execution didn’t work for me. Maybe part of that isn’t the book’s fault — from the descriptions, I expected some elements of magical realism that never emerged, so I felt like the story left me kind of hanging. But I don’t think my expectations were the only problem: A lot of what happens in this book ends up feeling kind of trite and even a little manipulative (which wouldn’t bother me so much if the heavy-handed emotional manipulation were actually effective, but it’s mostly not), and I never really connected with the characters. Not my favorite, but some people have raved about it, so I could just be missing the point.